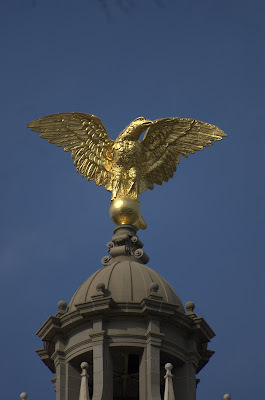 Jackson Daily Photo: "Saw the Eagle fly, through a clear, blue sky"
The light is perfection. And I appreciate your sentiment also! Nice shot! Hope you are feeling better. The eagle is a powerful bird. And I agree with what you have written, but we also need to keep the blessing and saveguard our freedom! That is a dazzling eagle indeed! Beautiful E! I love it!